Last week, Baltimore punk expanders Angel Du$t released Pretty Buff, their debut full-length for Roadrunner Records. While we're still trying to process exactly what is going on the album, they've shared a video for the song "Five." 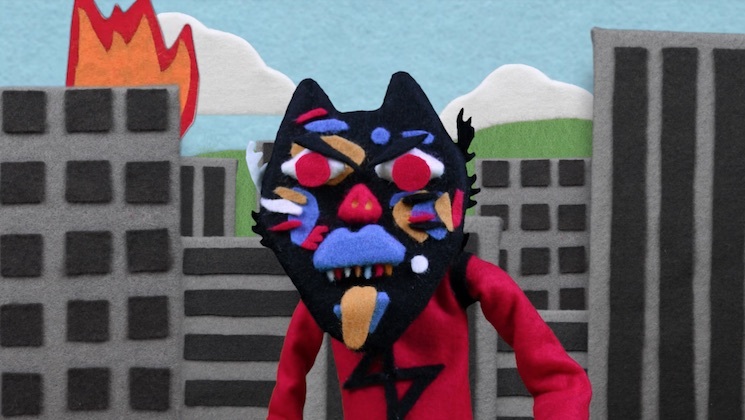 Directed by Ruth Barrett, the video features adorable felt animation of the same yellow-tongued cat (?) featured on the album cover. In the vid, our hero gets pissed off at the world around him and eventually takes his revenge. It's adorable and badass. Watch the video for "Five" below.